Nerdist recently asked Weaver about her The Defenders character, as she attended the opening of Pandora: The World Of Avatar at Animal Kingdom – and the actress managed to give a detailed answer, while revealing very little of any great consequence. “I know I play sometimes, like the warden in Holes is a villain, but I don’t do it very often and I never really think of them like that. To them, it always comes out of something. They can’t see things the way the normal person sees them, they’re still trying to complete something for themselves. Now, Weaver’s own references to Alexandra being a lover of life and culture – when considered in conjunction with the comments of Stephanie Maslansky, as well as the current trailer – bolster the theory that Weaver’s Alexandra is the leader of The Hand. Perhaps she’s even someone who’s benefitted from the The Hand’s process of raising people from the dead. While the prospect of a well-written villain played by Sigourney Weaver is tantalizing, to say the least, it’s important to note that one of the main criticisms of these Marvel Netflix series (in particular, Daredevil and Iron Fist) so far is the fact that Asian-American performers are used as background artists (mainly as villainous ninjas) while rarely being included in main roles – despite the fact that the organization of The Hand hails from Ancient Japan. 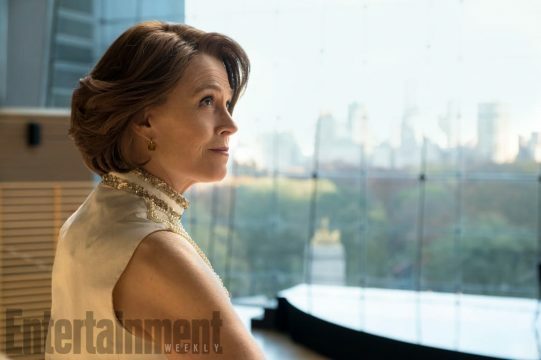 Accusations of white-washing and cultural appropriation flew swiftly across social media with the arrival of Iron Fist, so it remains to be seen how Sigourney Weaver’s potential leader of The Hand will be received when The Defenders arrives on Netflix on August 18th.